Located at the 16th Green, the Bear Trap provides viewing of both the tee and green of the signature par-3 17th hole at the Jack Nicklaus-redesigned Champion Course at PGA National Resort & Spa. 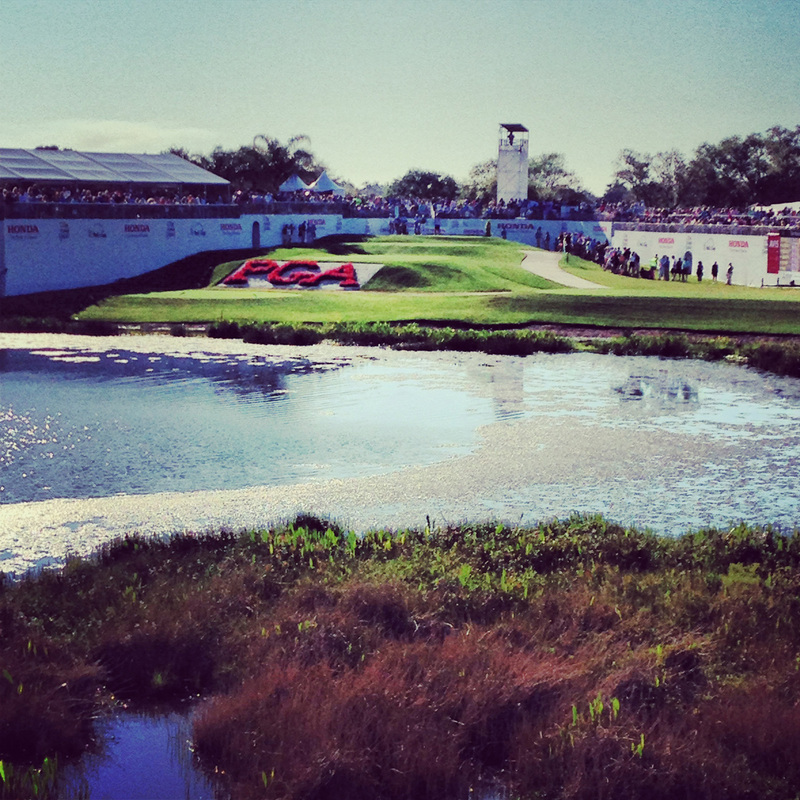 PGA National Resort & Spa’s Jack Nicklaus-designed Champion Course, host of The Honda Classic, as well as the resort’s new Fazio Course, will host the grueling six-round final qualifying tournament for playing privileges on the 2015 Web.com TOUR December 11–16. Now in its 24th season, the Web.com TOUR is the world’s top developmental tour and the primary vehicle to gain coveted PGA TOUR playing privileges. Recent graduates include 24-year-old Russell Henley, who claimed a playoff victory over Rory McIlroy, Ryan Palmer and Russell Knox with a dramatic birdie on the par-5 18th hole to win the 2014 Honda Classic. The star-studded field for the first stop of the “Florida Swing” featured seven of the top nine players in the world including local residents Tiger Woods, McIlroy and Lee Westwood, as well as the 2013 Masters champion Adam Scott. Now one of the most popular tournaments on the TOUR schedule, this year’s event attracted a record 193,052 spectators for the week. Few courses have a golf pedigree as storied as the Champion Course. Its vaunted résumé includes hosting the 1983 Ryder Cup, 1987 PGA Championship, and nearly two decades of the Senior PGA Championship. In 2014, Golfweek named the Champion to both its list of the 100 Best Resort Courses, and its list of the Best State-by-State Courses You Can Play. For more PGA National Resort & Spa information visit www.pgaresort.com or call 561.627.2000.